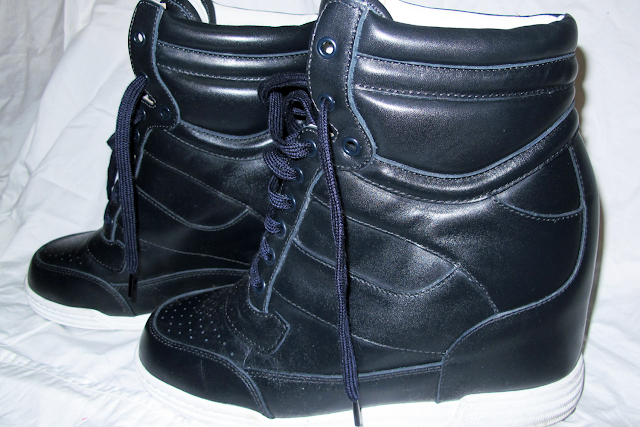 Take a look at these babies! 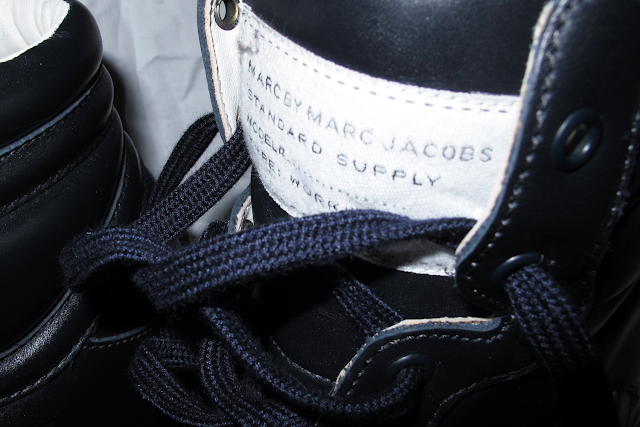 They are Marc by Marc Jacobs Sneaker Wedges, from his Spring 2012 Collection Show. 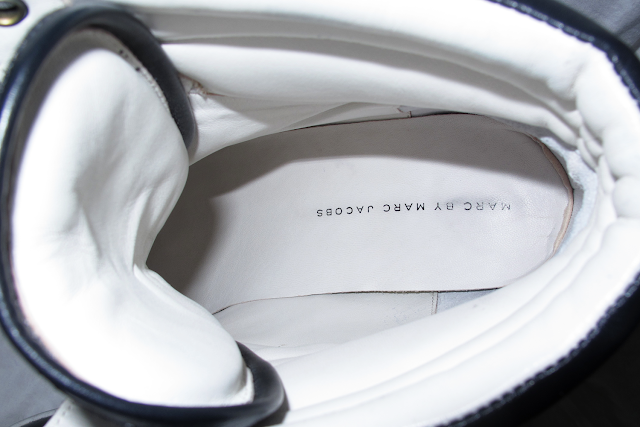 The Sneaker has a hidden wedge inside for extra height. 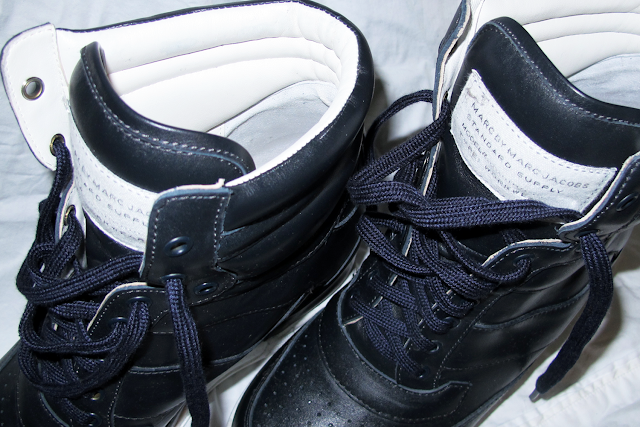 It's really fun sneaker, well made and super comfy. I don't actually own any runners/sneakers of any kind so this is a new venture (the wedge makes the transition easier). I got my pair from Amazon's new Online Store Endless. It is very hard to track these babies down and get free express delivery to Australia, so highly recommended for any Aussie Readers.